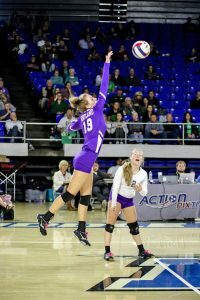 Main Street Preps has announced its 2018 All-Sumner County volleyball team. The Portland Lady Panthers dominated on the volleyball court and in our all-county teams as senior Marlayna Bullington has been named Player of the Year, Rob Lesemann earned Coach of the Year and the Lady Panthers Team of the Year after winning the Class AA State Championship for the second year in a row. Stats: 808 kills, .314 hitting percent, 481 digs, 76 aces, 34 blocks, played all six rotations. Lesemann won back-to-back Class AA state volleyball championships and was named Tennessee High School volleyball Coach of the Year.